Water conservation should be a priority for all individuals working in the agricultural sector because it requires adequate water to be successful. 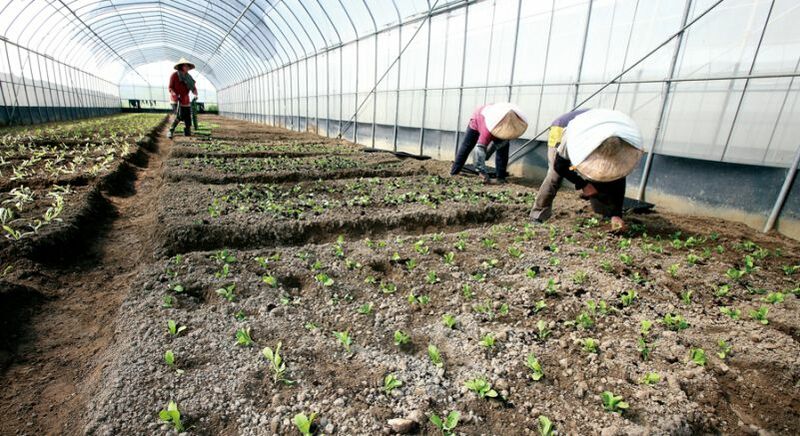 There are methods that can be employed to ensure that less water is used in the cultivation of agricultural products. Using decomposing organic matter as mulch or compost is a great way to keep the quality of your soil high and decreasing evaporation rates. These irrigation systems have been said to save up to 80% of the water used in other irrigation methods. It delivers water directly to the plant roots in smaller doses, so no water is lost as run offs because the water is delivered through a more accurately targeted system. Nitrogenous fertiliser has been used in the agricultural sector for half a century and this has made a huge impact on the ozone. Switching to an organic fertiliser doesn’t present this problem and it is better for your soil, allowing it to produce higher crop yields. Selling to local communities and buying from your local farms is a great way to minimise the fuel consumption associated with transporting produce. Crop protection has allowed farmers to make use of more diverse breeds of plants for their agricultural products. This ensure that should a crop be eaten by pests, killed by weeds or destroyed in another way that all the crops were not the same and so not susceptible to the same dangers. Keeping your crops diverse protects the farmer’s livelihood and conserves energy and reduces the need to expand the land further to compensate for the loss. Get a hold of agricultural services and products from our agricultural directory to discover the agricultural products that have been made available by farming suppliers to give you a greener farm.